Find out how to increase your World Tier in The Division 2's endgame. If you want to increase your World Tier in The Division 2, then you’re going to need to learn a few important things. The good news is, you don’t have to make this journey alone, and we’ve got all the information you need to know to start increasing your World Tier in The Division 2. Once you complete the main campaign in The Division 2, you’re going to find yourself thrown directly into the endgame. 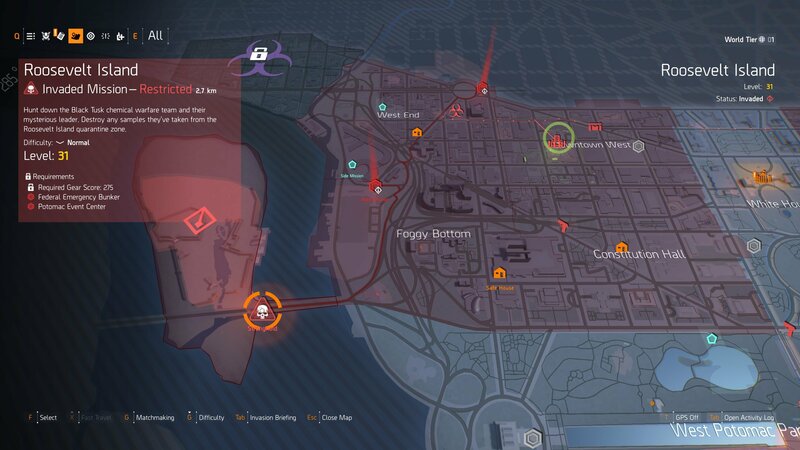 If you open up your map after completing the final stronghold, you’ll find yourself looking at a very different looking Washington D.C. That’s because, after you drive out the Outcasts, True Sons and the Hyenas, you’ll find the city under invasion by Black Tusk, a new military organization that’s much more formidable than the previous groups you faced off against. Several key missions from the main campaign have been adapted for endgame content. You’ll need to recomplete these missions during the endgame to unlock new gear, as well as work your way towards completing the invaded strongholds that Black Tusk has now taken over. Of course, these missions won’t play out exactly as they did in the original campaign. You can expect a lot more enemies to be thrown at you, as well as some variations to the objectives themselves. Black Tusk also includes some nefarious robots that up the ante even more, so make sure you come prepared with plenty of ammo and support from your group. To increase your World Tier you’re going to need to complete these missions, and raise your Gear Score as you play through the endgame. As mentioned above, increasing your Gear Score is extremely vital to raising your World Tier in The Division 2. Each World Tier will allow you to earn items up to a certain Gear Score before you will need to complete the next Stronghold (moving up World Tiers is directly tied to completing each Stronghold). The best way to increase your Gear Score is going to be playing through events and activities that reward you with new gear. Players can see their current Gear Score by checking out the character screen at any point. Each item that you acquire will have a specific Score set to it. Together, all the items in your equipped slots add up together to total out your Gear Score. You can see all this information from the inventory screen, as well as from the main Character Screen. It’s important to keep an eye on this stat, as it will directly affect how you can compete in the world. In fact, this should be your main focus during this portion of the game—as it’s the only way that you’ll continue to progress. 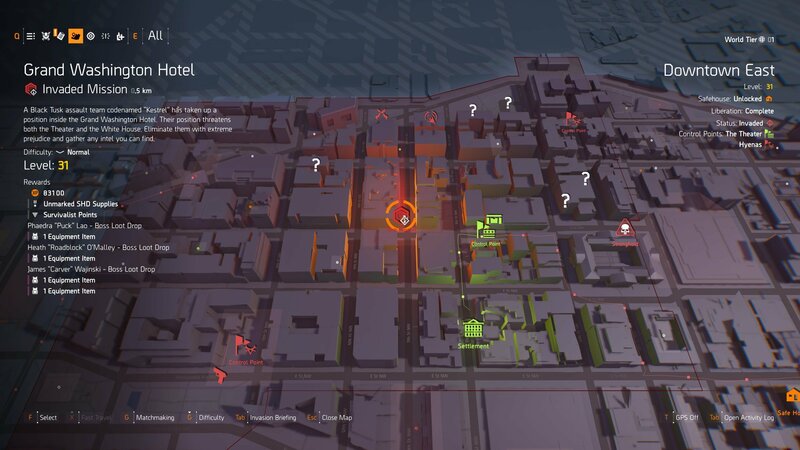 The good news is, you can earn gear with better Scores by playing in the Dark Zone, completing the missions we listed above, and by taking part in world events found while exploring Washington D.C.
Like the original Strongholds you completed to unlock the endgame, Black Tusk has also set up four Strongholds around the city. These special missions will have you facing off against multiple enemies and bosses. Once you complete them, though, you’ll find yourself with a new World Tier unlocked. Because of this, each Stronghold has a required Gear Score you will need to hit before you can take part in the activity. 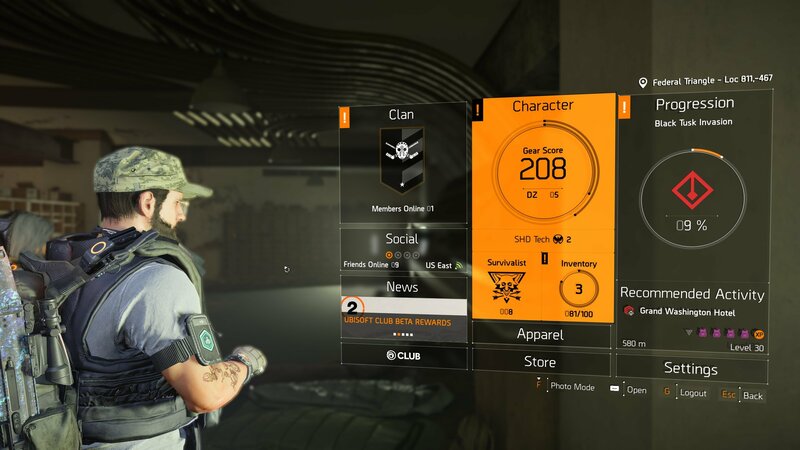 You can craft weapons and gear in The Division 2 to acquire better items. The very first Strongholds that you can take down all feature the same Gear Score requirement of 275. This means you can take them down in any order that you choose. However, due to the more exhaustive nature of each mission, we’d suggest taking them down in the same order that you took them down in for the main campaign. All three Strongholds from the main campaign have been invaded by Black Tusk. So, to do that, start with District Union Arena, then continue to Roosevelt Island, and finally move on to Capitol Hill. Between each Stronghold, we’d also suggest taking some time to level up your Gear Score. While the requirement for these missions 275, completing one Stronghold will raise the requirement up for the next one. That’s why we’ve suggested the order above, as it allows you to reach a high enough Gear Score to properly take on each Stronghold without too much issue. Finally, the last Stronghold will become available. Tidal Basin is by far the most difficult of the Black Tusk Strongholds, and it is the only one that didn’t appear in the original campaign. As we stated earlier in this guide, completing each Stronghold will raise your World Tier by one level. So, once you’ve beaten the first three, you should be at World Tier 4. You will need to complete Tidal Basin to unlock the final level, World Tier 5. This mission also isn’t completely available just yet, so if you manage to reach World Tier 5 soon, you may find yourself unable to complete it. We’ll update this guide once World Tier 5 becomes available with any additional information you may need to know about it. 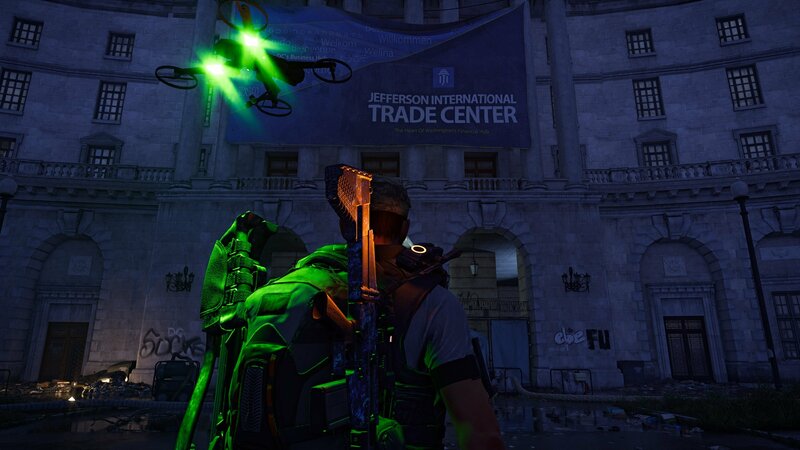 Now that you know more about the endgame and how to increase your World Tier, make sure you head back over to our The Division 2 guide hub for more help tackling all of the dangers in Washington D.C.